**note- a $1.24 per ticket service fee is added to tickets purchased on-line. Folk heroine Cara Luft deserves her solid reputation as one of Canada’s finest live performers whose engaging, down-home style comes wrapped in a warm and delicious sense of humour. 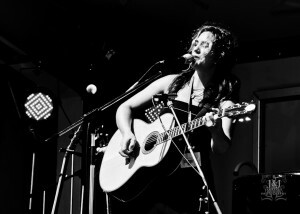 A co-founder of folk trio The Wailin’ Jennys, Cara was the spark behind the group. Her spirit and innate musicianship were instrumental in their rise to the forefront of the North American roots music scene. Since leaving the trio, Luft has wowed audiences and critics across North America and Europe with her performances.